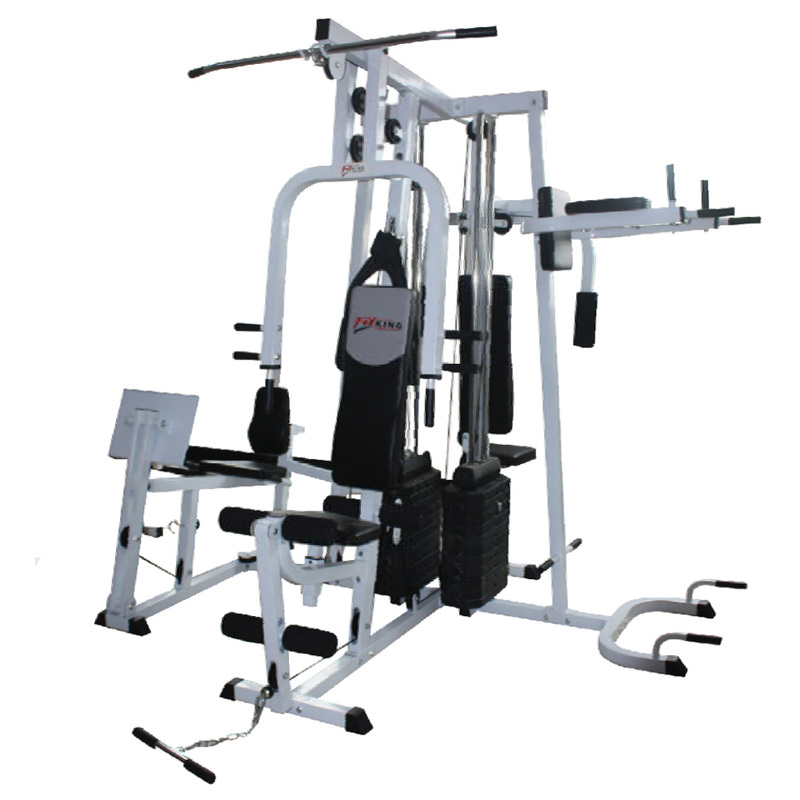 Strong square steel frame (75x75x1 .5) (50501.5) with 300 lbs weight stack. High density upholstered seat & back rest pads. Adjustable seat height & large diameter pulley with bearing. Multi position press handle & accessories including lat bar, straight bar, abdominal & ankle strap.